The character cast at Sanrio are teaming up with Splatoon 2 for a second time at 20 branches of KIDDY LAND in Japan―including Harajuku and Osaka Umeda―from November 10 to 22. Splatoon 2 is a video game developed and published by Nintendo for the Nintendo Switch™ that has sold almost 7 million copies worldwide as of June 2018. 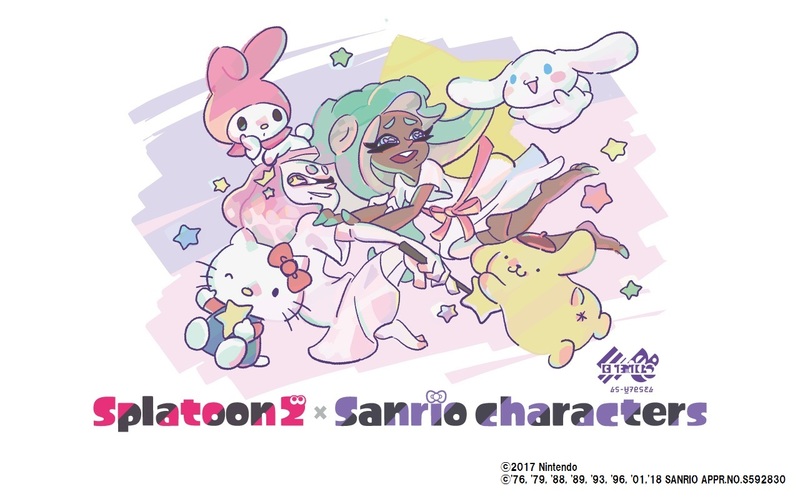 In this second collaboration, the internationally and instantly recognisable characters of the Splatoon world are joining hands with four characters from Sanrio to release a line of tournament-style merchandise. 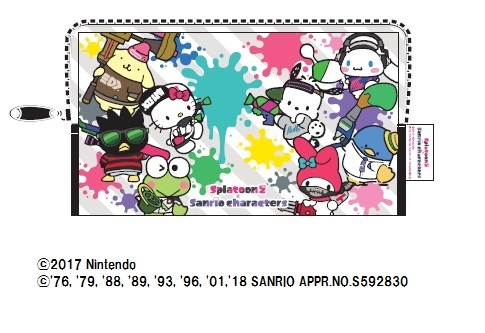 The first collaboration between the two franchises came as a result of Splatoon 2 ranking first place in the collaboration category of the 2018 Sanrio Character Awards and proved to be hugely popular amongst fans from both sides. The partnership hit 11 KIDDY LAND branches which saw a range of exclusive merchandise from t-shirts and stickers to iPhone cases and beyond. 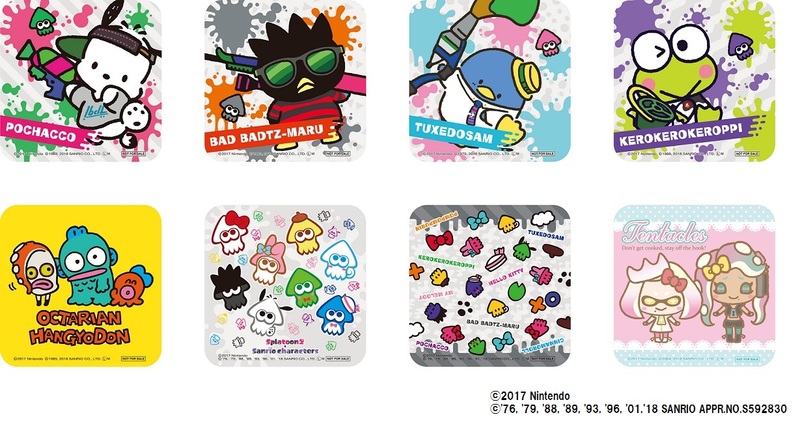 The character line-up includes Pochacco, Badtz-Maru, Tuxedo Sam and Keroppi, all of whom are first-timers in this collaboration. As well as regular goods like t-shirts and plush toys, there will also be limited edition Inklings art with a watercolour touch available from November 12. 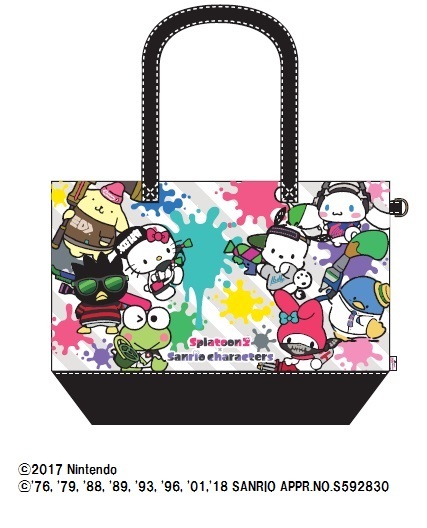 This will be available early at Sanrio Puroland from November 10. What’s more is that for every KIDDY LAND exclusive item that is bought and every ¥1,500 including tax that is spent, fans will be given one of eight possible coasters. These will be discontinued once all have been given out so you’d best be quick if you want one. 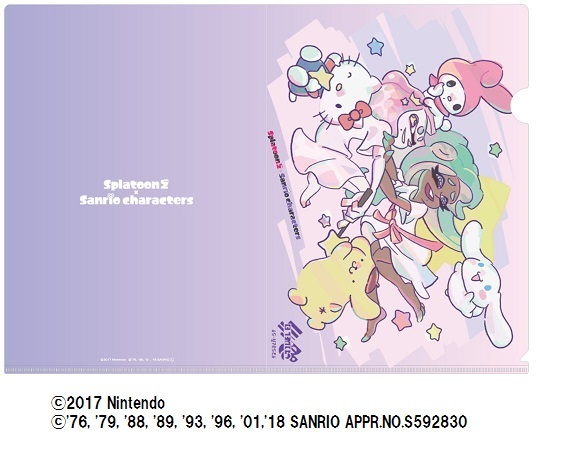 Don’t miss out on this visually-pleasing and colourful second collaboration between the worlds of Sanrio and Splatoon!